Back to School Night or Meet the Teacher Night can be stressful for teachers and new parents and students. This year we have some ideas from real classroom teachers who know how to put their new pupils and their parents at ease. 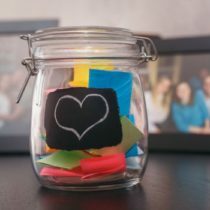 Whether your Back to School Night is before school starts or after it is underway, these easy techniques are sure to make a great impression and ease anxiety. What do you do to introduce yourself to new students and parents? Are there things that you have tried that worked great for Back to School night? Share your ideas below! We’d love to hear from you! Our Meet the Teacher night is the week before school starts. I like the ideas of scavenger hunts and using map skills, but they wouldn’t work for me on this night. I will file it away for Open House in the Spring! I LOVE the idea of giving out my class website address at Meet the Teacher night to invite parents and students to learn about rules and procedures there. I spend a lot of time and energy putting my website together (and then updating it weekly) to only have very few parents visit. Passing out the website info at our Meet the Teacher night might be a better way to get more traffic on my classroom website. Thanks! We have an open house about a week after school starts. Instead of keeping things formal, I create a classroom/hallway scavenger hunt for which the students guide their families. I let the students preview the list in school that day so each area is clear in their minds that evening. I include places like our classroom library, supply areas, art displays, etc. At the end of the hunt, they are instructed to come find me for a special surprise. (I pack up a little back-to-school family survival kit with a cute little description of why each item is in the baggie.) By far, parents and students enjoy most the secret message parents are asked to write in their child’s journal. The kids are not allowed to read it until the next morning. I see my unsure students refer back to mom or dad’s note all year long for reassurance to do their best and be brave. My classroom’s theme this year is “Ye Royal Classroom,” so I will be revamping the scavenger hunt paper to fit the theme. I know my little “lords” and “ladies” are going to love it! My system typically has an open house the week before school starts. It is a short time frame so we encourage parents who have a lot to tell or ask us to schedule a conference. During this rushed day, we meet students and their parents briefly, but I always have an information sheet for parents to fill out before leaving. As parents leave, I send home the information packet so they have time to review it before school begins. I like the idea of having a website as an introduction. I don’t have one currently, but would like to. I currently send post cards and the kids come to a meet and greet day the day before school starts. We have back to school day and meet the teacher night. During the day, the kids come to meet the teacher and the evening is parent night. I like the idea of sending home the information packet so that the parents come ready with questions. I definitely put up a sign for the bus the kids ride or if they are picked up everyday. I also put up a chart to sign up for a holiday to provide snacks for. Our back to school night, we try to get the families all over the school such as meet the teacher, meet the principal, sign up for hot lunch, meet the counselor and more. They have a brochure and when their spots are marked they go in the gym and have pizza or whatever the PTO has bought. It goes quick so I don’t have a lot of time to chit chat with parents. I like the idea of sending home my packet of routines, expectations and such about my classroom. However, I don’t get a class list early enough. I do like to send out postcards and hopefully they get there before school starts. since i teach kindergarten, we have a “meet your teacher” time where families are encouraged to come and meet the teacher. it gives parents and students a chance to say hi, see the playground, and for me, it’s a chance to find out pertinent info like how the children are coming to and from school. everyone is excited and this time provides an important chance to chit chat that isn’t otherwise available until after school begins. great way to start building relationships with families! I love hearing new ideas from other people about going back to school? Does anyone else have a “Meet the Teacher” night? If so, does anyone provide a little snack for the kids on their desks? I’d really love some fresh ideas on inexpensive/healthy treats. Thanks, RGS! We only have 30 minutes for Back to School Night. I like to do minimal talking. Last year was the best year thus far. Previous years, I put together a packet with my intro, rules, standards, and curriculum info and had it on student desks so parents who came would have one as I walked through it. I felt like an auctioneer, covering way too much information in that short time. Last year, I had my packet available the week before and emailed it/put it on the website. I didn’t have to print out or copy anything. I asked parents to read through it in advance and bring their questions to Back to School Night. That night, I was able to have more time for an intro, time for parents to look around and sign up for things. I had the website up on all of my computers, had a little bit of student work on the walls, and had a cute note paper for the parents to write their child a note. The Q and A was more directed towards their questions, rather than me spouting off things they could read on their own. I also got done early, which again, made it easy for the parents to leave at their own convenience or come and meet me. It was great and a much more efficient use of all of our time, and I plan on doing it again this year! I love back to school time! I send my students postcards and they all come in and say their teacher sent them a postcard. It is so cute because I explain that this was me and they never get it! I also tell them that I have a secret on their gradual entry day that each time they come they will meet new friends. This always gets them excited because I whisper it like it’s really a big secret. We do a back to school day on the first day of school. Thanks for new ideas to bring into this day. I am ready to make my “back to school” order from Really Good Stuff.